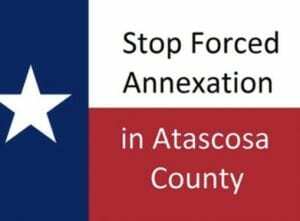 First and foremost, a very special “thank you” to the citizens of Atascosa County for coming out with a passion to support our property rights petition, “Stop Forced Annexation in Atascosa County”. It was a concerted effort by all of the county that made this possible…it truly took a village. Thank you to the local merchants who gave of their time and business to host petition signing at their locations (see location poster for complete list). We know it was disruptive to your businesses. Some businesses actually pulled out because of this. Our very loyal supporters, however, stood by us until the end. Be sure to thank them personally and express your appreciation by patronizing their establishments. Thank you to Tractor Supply & MG Building Materials in Pleasanton who allowed us to set up at their front doors weekend after weekend; and to Lowes and Dairy Queen in Poteet. Thank you to the countless volunteers who took our petition pages door to door and relative to relative to make sure everyone had the opportunity to participate. 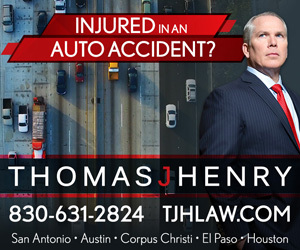 And last, but not least, thank you to our media angels: Noel Wilkerson Holmes / Pleasanton Express and JB Salazar and Charles Morris radio KSAQ 102.3—who were truly the wind beneath our wings. It was through their efforts that this movement was able to reach the county voters to launch this very important mission. We collected more than the required number of signatures so we should be alright if we lose a few here and there on the final scrub by the Elections Office. Next step is Commissioners Court. Once the Elections Office determines that we have the sufficient number of qualified signatures, Commissioners Court votes to put it on November’s election ballot. The final step will be for all of us to again go out in force and vote for Atascosa County to become a Tier 2 county so that we can have a vote on whether or not we want our lands annexed. Do keep in touch with our page. We will keep everyone posted on developments as they occur. We will also be your source of information on the annexation process as it affects Atascosa County. Again, thanks to all; and remember this is only the beginning.